Professor Kumta obtained his Bachelor of Technology in Metallurgical Engineering from the Indian Institute of Technology, Bombay, India in 1984. He then obtained his M.S. and Ph.D. degrees in Materials Science and Engineering from the University of Arizona in 1987 and 1990, respectively. He joined the Materials Science and Engineering Department at Carnegie Mellon University as an Assistant Professor in 1990, and was promoted to Full Professor with tenure in 1999. After serving on the MSE and BME faculty at CMU for 17 years, in 2007, he joined the University of Pittsburgh as the Edward R. Weidlein Chair Professor in the Swanson School of Engineering and the School of Dental Medicine with appointments in Bioengineering, Chemical and Petroleum Engineering, Mechanical Engineering and Materials Science and the Department of Oral Biology. Professor Kumta research interests are in the synthesis, structure and properties of nanostructured materials for electrochemical, electronic, bone and craniofacial tissue engineering, stem cell plasticity and engineering, as well as non-viral gene and protein delivery applications. He is the author and co-author of more than 225 refereed publications as well as more than 350 conference presentations. He is currently the Editor-in-Chief of Materials Science and Engineering, B, Advanced Functional Solid-State Materials, an International peer reviewed Journal by Elsevier. He is also a Fellow of the American Ceramic Society (ACerS) and the American Institute of Medical and Biological Engineers (AIMBE). Dan Liebermann is a Professor in the Department of Biochemistry and the Fels Institute in the School of Medicine. He obtained his PhD from the Weizmann Institute of Science In Israel, and did research at Stanford University and the University of Pennsylvania. He has been at Temple University since 1993. He teaches graduate students including Director of a required graduate core course , as well as students in the medical, dental and podiatry schools. In addition, he mentors PhD students & postdoctoral fellows in his laboratory. He has an active research program, receiving funding from the NIH & the Army. He has made seminal discoveries in the fields of Cancer Biology, Leukemia, Hematopoiesis and Molecular Biology. 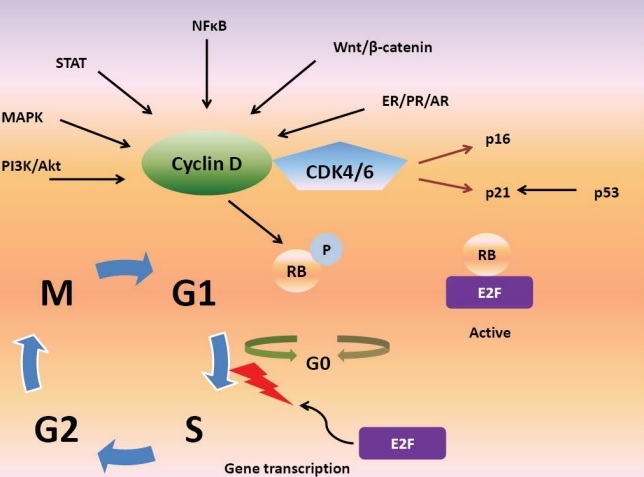 His laboratory has pioneered research in Early Growth Response (EGR), Myeloid Differentiation (MyD) and Growth Arrest and DNA Damage (GADD) primary response genes related to genetic changes associated with normal cell development and oncogenesis. His listing in Wikipedia as discoverer of the Gadd45 family of genes and the Toll receptor MyD88 gene reflects on this pioneering work. He was also the first to document, in Oncogene 1994, the finding that the pro-apoptotic protein BAX is a target of the p53 tumor suppressor. This publication, cited more than 2000 times was listed among the ISI hot papers for 1994. His work has yielded, so far, about 180 publications in high impact Journals, including Nature, Cell, PNAS, MCB, JCB, Blood, Oncogene and Cancer Research. Thus far, he has been mentoring 15 graduate students and 30 Postdoctoral fellows. His scientific achievements have been recognized by a Senior Research Excellence Award Lecture in the Second Annual Temple Translational Science Symposium, September 2013. Over the course of his tenure at Temple University, he was an elected standing member of the prestigious NIH Molecular Cellular hematopoiesis Study section ,2008-2013v, & member of the Israel Biomedical Science Advisory Committee. Also he has served on committees at the university, school and departmental levels. He served as chair of the Curriculum Committee of the Molecular Biology Graduate Group, the Academic standards Committee of the Molecular Biology Graduate Group, & chair of the Biochemistry Tenure committe. He has served as a Member of Administrative & Trustee Committee (CATA), & as representative of the School of Medicine on the Graduate Board. He is also involved in other scholarly activities, including serving on the editorial board of Molecular and Cellular Differentiation, Oncogene Reviews, Int. J. of Oncology& Cancer Therapeutics, , and as a reviewer on several other journals including Nature Medicine, Nature Immunology & Proceedings of the National Academy of Science. Currently he serves as an elected member of the School Of Medicine Dean advisory committee as well as on the Department of Biochemistry executive committee. 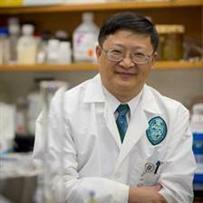 Dr. Teng Ma is Professor and Chair of Chemical and Biomedical Engineering at the Florida State University since 2000. He received the B.S. from Tianjin University, China, in 1989, and the PhD from the Ohio State University, Columbus, OH, in 1999, all in Chemical Engineering. He has been active in the field of stem cell engineering and their applications in regenerative medicine. He has published over 50 research articles, book chapters, and conference proceedings with over 2,500 citations in Google Scholar. His research has been funded by Department of Defense, National Science Foundation, American Heart Association, and Florida Department of Health. He has been awarded the Developing Scholar Award by the FSU in 2008 and was invited by the National Academy of Engineering as an attendee of the Frontier of Engineering in 2006 and 2010, respectively. He holds four issued patents and has served as consultant for multiple biotechnology companies. Dr. Mas major research interest is to explore novel tissue engineering strategy to guide functional construct development. He is engaged in understanding the cellular processes of in vitro tissue development, developing functional scaffolds to mimic in vivo tissue environment, and designing bioreactor system for stem cell expansion and to support long-term functional construct development. His long-term goal is to develop an integrated paradigm of how different factors contribute to functional tissue development in three-dimensional space and how to guide these processes to produce cellular products for clinical use. Jacques is the Donald A. Kerr Endowed Professor of Dentistry (Dept. of Cariology, Restorative Sciences and Endodontics), Professor of Otolaryngology (Medical School) and Professor of Biomedical Engineering (College of Engineering) at the University of Michigan. He is the Co-Director of the University of Michigan Head and Neck SPORE grant funded by the National Cancer Institute (NCI), has served as a member of National Institutes of Health (NIH) study sections, and has been continuously funded by the NIH for the last 13 years. Jacques is an elected Fellow of the American Association for the Advancement of Sciences (AAAS), received the Hatton and the Gies Awards from the International Association for Dental Research (IADR). 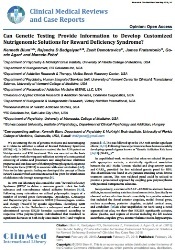 Jacques received the Distinguished Scientist Award from the IADR in 2012. He recently served as the President of the Michigan Section of the American Association for Dental Research (AADR). Jacques is Associate Editor of the Journal of Dental Research and a member of the editorial board of several journals, including the Journal of Endodontics, Operative Dentistry, and Stem Cells in Oral Medicine. His research interests are in angiogenesis and in stem cell biology. His current research foci are the study of the pathobiology of stem cells and endothelial cells in head and neck tumors, and the study of dental pulp stem cell differentiation in the context of dental tissue engineering. 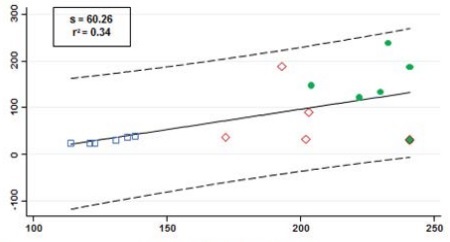 Our previous studies had localized a cervical cancer suppressor gene to a 300kb sequence of 11q13. Due to the presence of repeat rich sequences, it was again hard work before identifying cystatin E/M as the suppressor gene. 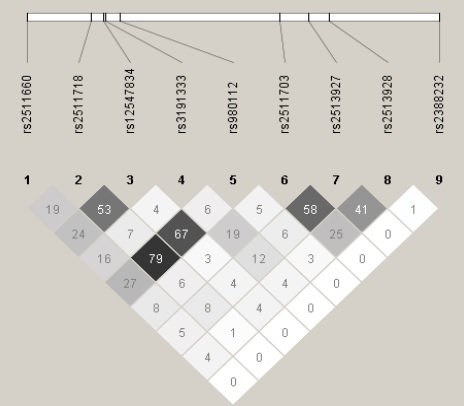 While studies had shown methylation as the inactivating mechanism, we identified somatic mutations including homozygous deletion of this gene in primary tumors. During these studies we observed a non-cell autonomous growth suppressive function for the secreted cystatin E/M protein. We have now confirmed the cell autonomous function using tetracycline inducible systems and HPV 16 immortalized human epidermal keratinocytes. 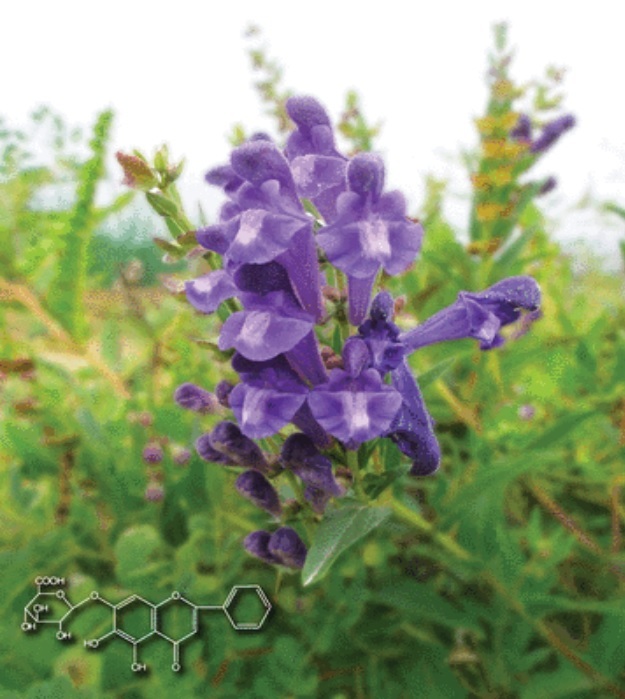 These results indicated that the isolated protein could be used for cell growth suppression studies in the in vitro and animal tumor models. Preliminary studies with purified protein indicate that the protein is unstable. 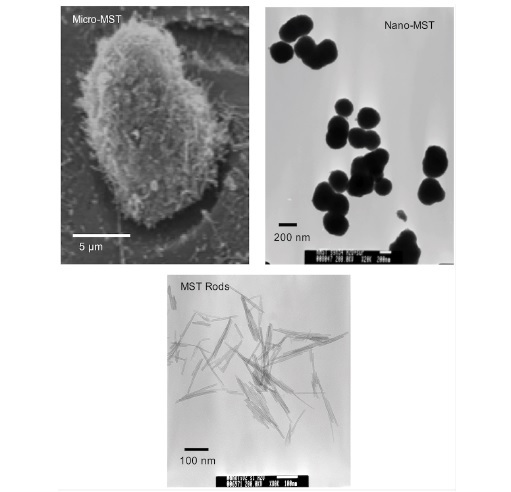 In collaboration with Dr. Heather Maynard of the Department of Chemistry we are trying to improve the stability by encapsulating the suppressor protein in nano particles. It remains to be seen whether the nano delivery vehicles will be successful in bringing this protein to the bedside. The diagnostic and therapeutic use of this protein was patented through UCLA. Brian Wigdahl, Ph.D., is professor and chair of Microbiology and Immunology, director of the Institute for Molecular Medicine and Infectious Disease, and director of the institutes Center for Molecular Virology and Translational Neuroscience at the Drexel University College of Medicine. An internationally recognized molecular virologist, Dr. Wigdahl focuses his immediate research on the molecular mechanisms, treatment, and prevention of immunologic abnormalities, cancer, and progressive neurologic disorders caused by members of the retrovirus and herpesvirus families. He has a total of more than 180 published or in press peer-reviewed publications. Dr. Wigdahl has been funded by the National Institutes of Health and other agencies, foundations, commercial sources for over 35 years, with awards totaling more than $40 million. A senior associate editor of the Journal of NeuroVirology, Dr. Wigdahl also served for six years as president of the International Society for NeuroVirology, and currently serves as treasurer of the Society. During his time at Penn State, Dr. Wigdahl was awarded the Samuel Hinkle Society Outstanding Young Investigator award and more recently at Drexel University College of Medicine, the Julian Marsh, MD, Faculty Scholar Award for excellence in scientific research, outstanding teaching skills, and consistent high quality leadership. Dr. Wigdahl is the 2013 recipient of the International Society for NeuroVirology Pioneer in Neurovirology Award presented in recognition of outstanding individual achievement in the field of neurovirology. 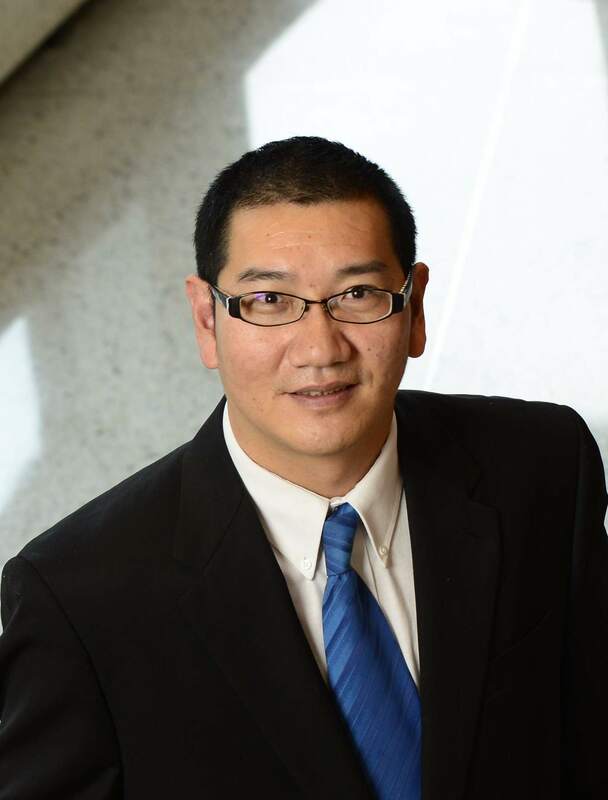 Dr. Xuejun Wen is currently the Alice T. and William H. Goodwin Jr. Endowed Chair and tenured full professor in the Institute for Engineering and Medicine and Department of Chemical and Life Science and Engineering at the Virginia Commonwealth University (VCU). Before moved to VCU, he was a tenured full professor at the Department of Bioengineering, Clemson University. He was also the State of South Carolina Named Hansjorg Wyss Endowed Chair Professor in Regenerative Medicine. He joined Clemson Bioengineering as a tenure-track faculty in 2003, and resided in Charleston, SC to initiate joint bioengineering program between the Clemson University and Medical University of South Carolina (CU-MUSC) with the mission to foster translational research, and promote interinstitutional, multidisciplinary collaborations. He is also being appointed as adjunct faculty in a couple of clinical and basic science departments at MUSC, fields including neuroscience, orthopaedic surgery, dental medicine, and cell biology and anatomy. Through the past 11 years of his independent academic career, he has established a strong independent extramurally funded research lab in the field of biomaterials, tissue engineering, stem cells, and regenerative medicine. His research focuses on regenerating functional and safe human tissues by combining the principles of biomaterial science, biological science, stem cell biology, tissue engineering, regenerative medicine with the advanced techniques in molecular and cell biology. His lab has been extensively funded by federal organizations, as well as private foundations, such as National Institutes of Health (R01 awards, and R21 awards), National Science Foundation (CAREER award, and NSF research grant), Department of Defense (Office of Naval Research, CDMRP), National Textile Center, Center for Innovative Technology, Michael J. FOX Foundation for Parkinsons disease, Wallace H. Coulter Foundation, March of Dimes Foundation, American Heart Association, AO Foundation, Orthopedic Trauma Foundation, South Carolina Spinal Cord Injury Research Fund, etc. He has filed over 70 disclosures (with 8 issued patents and 12 full patent applications). His research has been featured in numerous press releases. Research interests: Developing new human stem cell culture technology, stem cell engineering, stem cell differentiation, stem cell transplantation. 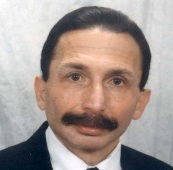 Dr. Ruben Rene Gonzalez-Perez is a Professor in the More house School of Medicine, Atlanta, GA. Dr. Gonzalez-Perez completed his degree in Pharmaceutical Biochemistry from the University of Havana in 1972. He received his Ph.D. in Enzymology & Microbiology from the University of Havana, Cuba and INSA, Toulouse, France in 1985. Dr. Gonzalez-Perez completed his post-doctoral training in various laboratories in Sweden, Switzerland, Finland, Spain, Italy, Chile and USA in Reproductive Immunology, Human Reproduction and Cancer Research under the direction of several world-wide recognized Professors and researchers. Dr. Gonzalez-Perez was appointed as a member of the World Expert Committee for Human Embryo Implantation Research at the World Health Organization from 1998-2001. 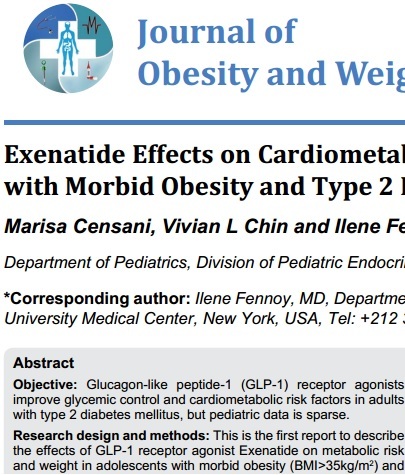 Dr. Gonzalez-Perez has served as reviewer for DOD, WCRF, WHO, CONRAD, Foundatione Cariplo, UAB, MSM and others. He is a register referee, reviewer and editorial board member of more than 35 peer-reviewed journals. Dr. Gonzalez-Perez is a lecturer for Graduate Education at MSM, where he teaches Cancer Biology and Biochemistry among other disciplines. Dr. Gonzalez-Perez is actively researching on cancer and contributing to the formation and training of several students at the pre-graduate, graduate and post-graduate levels from MSM, Morehouse College, Spellman College and other Institutions in Atlanta area, GA, USA. 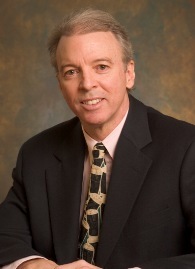 Donald W. Landry is Samuel Bard Professor and Chair of the Department of Medicine, and Director of the Division of Experimental Therapeutics at Columbia University's College of Physicians and Surgeons. Dr. Landry completed his Ph.D. in organic chemistry under R. B. Woodward at Harvard University and obtained his M.D. degree from Columbia University. After Internal Medicine at the Massachusetts General Hospital, he joined Columbia's Faculty of Medicine. His research focuses on drug discovery and artificial enzyme approaches to intractable drug targets. He developed the alternative, embryo-sparing approach for the production of human embryonic stem cells based on the harvesting of live cells from dead embryos. He was a member of the President's Council on Bioethics from 2008 to 2009, and Co-Chairman of the Witherspoon Council on Ethics & the Integrity of Science. Dr. Landry was awarded the Presidential Citizens Medal, the nation's second highest civilian award in 2009. Dr. Jeremy Mao is a professor at Columbia University, with appointments in Cell Biology and Pathology, Bioengineering, Orthopedics and Dental Medicine. Dr. Mao also holds Edwin S. Robinson Endowed Chair at Columbia University Medical Center. He previously held academic appointments at the Universities of Pittsburgh and Illinois, prior to Columbia. He is the author of multiple books including 'Translational Approaches in Tissue Engineering and Regenerative Medicine'. His research interest is in the interface of stem cell biology and biomaterials. Dr. Mao's laboratoryhas completed multiple projects on stem cell biology, tissue regeneration in large animal models and two clinical trials. Dr.
Dr. Jeremy Mao is a professor at Columbia University, with appointments in Cell Biology and Pathology, Bioengineering, Orthopedics and Dental Medicine. Dr. Mao also holds Edwin S. Robinson Endowed Chair at Columbia University Medical Center. He previously held academic appointments at the Universities of Pittsburgh and Illinois, prior to Columbia. He is the author of multiple books including 'Translational Approaches in Tissue Engineering and Regenerative Medicine'. 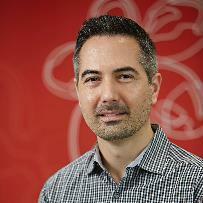 His research interest is in the interface of stem cell biology and biomaterials. Dr. Mao's laboratoryhas completed multiple projects on stem cell biology, tissue regeneration in large animal models and two clinical trials. Dr. Mao has over 60 patents, one of which was commercialized as a medical device that received EU and FDA approvals. Dr. Mao has published over 170 scientific articles and given over 330 keynote and plenary lectures worldwide. His work has been continuously funded by multiple NIH institutes for the past 18 years.Dr. Mao has received a number of prestigious awards including Yasuda Award, Gies Award and Spenadel Award. Dr. Mao has trained dozens of PhD students and postdoctoral fellows, many of whom are professors of universities and others are leading scientists in industry in the U.S., Japan, China, UK and other countries. I am the Henry J. Mankin Professor in the Department of Orthopaedic Surgery and the Director of the Stem Cell Research Center (SCRC) at the University of Pittsburgh. I have extensive knowledge in the areas of gene therapy, tissue engineering & regenerative medicine based on the use of muscle-derived stem cells (MDSCs). My primary areas of interest are in basic stem cell biology and their translation to clinic to aid in the healing and regeneration of a variety of tissues. 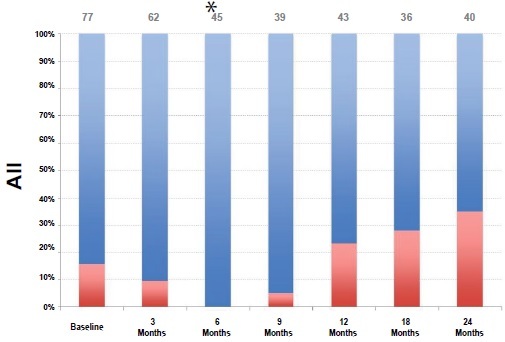 MDSCs that have been isolated by my team are currently undergoing clinical trials for the treatment of urinary stress incontinence and myocardial infarction in the US and Canada. Our current major research interests include: Skeletal muscle stem cell isolation and their characterization; alleviation of the muscular degeneration associated with Duchennes muscular dystrophy (DMD) through MDSC transplantation; bone and articular cartilage regeneration through stem cell transplantation; cardiac and skeletal muscle injury repair, regeneration, and fibrosis prevention; peripheral nerve regeneration using MDSCs; and the use of MDSCs as a source for paracrine factors to alleviate the phenotypic changes associated with natural aging and progeria. Anand Gadre graduated with his BS in Applied Physics from the University of Mumbai(India) in 1994. He received the MS Degree at the Institute of Science in 1997. During his Master's degree, his research was involved in characterizing the structural, electrical and optical properties of insulating and conducting polymers. Anand completed his doctorate (Ph.D.) in 2000 from the Institute of Chemical Technology (ICT), Mumbai. 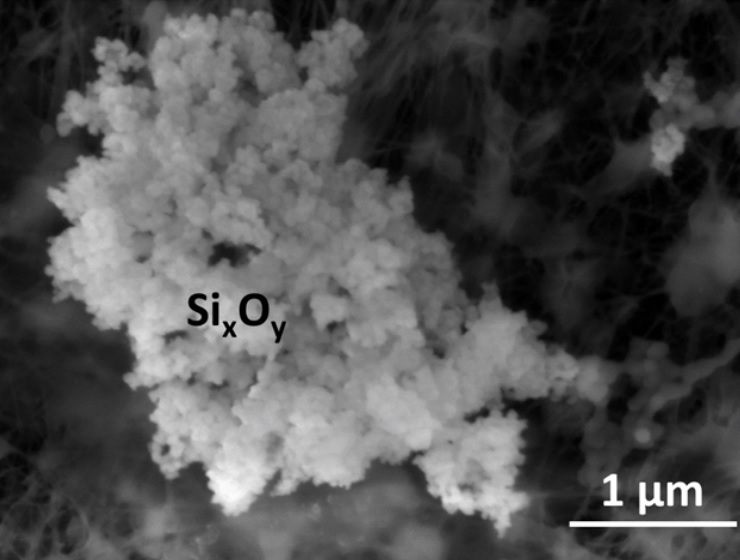 The subject of his Ph.D. research was to develop and characterize insulating and conducting polymer composites for biosensing application. In 2001 Anand joined University of Maryland (USA) as a Postdoctoral Research Associate. In 2002 Anand worked as a Postdoctoral Research Associate in Georgetown University at Washington DC and later worked as a Managing Scientist in Georgetown's Nanoscience and Microtechnology laboratory (GNuLab). In 2004 Anand was appointed as an Assistant Professor of Nanobioscience at the College of Nanoscale Science and Engineering in the State University of New York at Albany and later was promoted as an Associate Professor of Nanobioscience with tenure. While working at CNSE, Anand also achieved his Master in Business Management (MBA) degree from the State University of New York at Albany. In March 2011 Anand joined as the Director of Stem Cell Instrumentation Foundry (SCIF) at the University of California, Merced where he is currently administering a multi million-dollar core research facilities and pursuing his research in the areas of Stem Cell Biology and Nanobiotechnology. 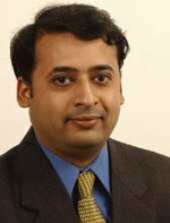 Anand is an active researcher and has published several peer reviewed papers, co-authored book chapters, served as a referee for several national and international journals, served as chair and invited speaker in several national and international conferences, has delivered lectures and taught advanced courses on polymeric materials and nanobiotechnology at the undergraduate and graduate levels. In addition, Anand is a trained percussionist; has a Bachelor degree in Music and actively participates in musical concerts as well as teaches percussion instruments. 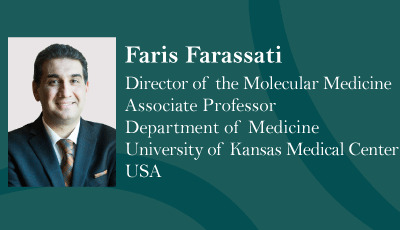 Faris Farassati is an Associate Professor of medicine at the University of Kansas Medical School and the director of the Molecular Medicine Laboratory at this institute. He is a translational cancer scientist focusing on intervention with pro-oncogenic cell signaling machinery in order to treat human malignancies. Therapeutic targets which are identified to be 'Cancer-Specific' are pursued by both gene and drug therapy methods by Dr. Farassati's team towards designing a comprehensive translational strategy. Transcriptional targeting of Oncolytic Viruses is a major focus of research for Dr. Farassati's group. 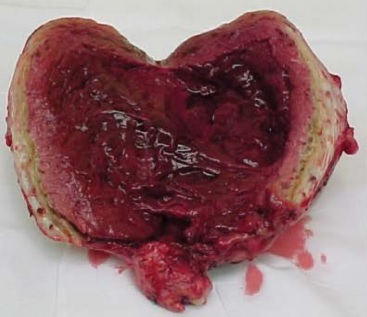 Ras signaling pathway, as the most important pro-oncogenic signaling pathway involved in generation of human cancers, has been defined as a target for a mutant versions of Herpes Simplex Virus-1(HSV-1). This Ras-Smart virus is named as 'Signal-Smart 1' or SS1 virus. 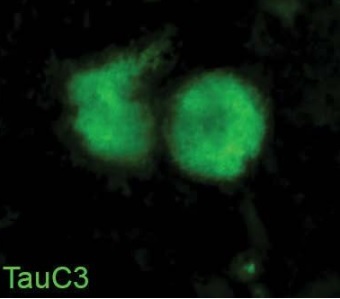 Other versions of Oncolytic Viruses developed in this lab include HSV-1 mutants capable of targeting cancer stem cells (CSCs) in a cell-specific manner. These viruses are being developed with the purpose of eliminating CSCs as the main fraction of cells within tumors in charge of repopulating tumors and maintaining different cell types which compose the histological structure of the tumor. Currently, no therapy exists to specifically target CSCs. Hence, the development of Oncolytic Viruses with such abilities carries significant potentials for highly effective cancer therapies. Prof. Ulrich Martin, PhD, has been head of the Leibniz Research Laboratories for Biotechnology and Artificial Organs (LEBAO), and in 2008 he also became director of research of the Clinic for Cardiothoracic, Transplantation and Vascular Surgery, both at Hannover Medical School (MHH). Since 2003 he has been assistant professor for Experimental Transplantation and became a full professor for Cardiorespiratory Tissue Engineering in 2008. Ulrich Martin is vice coordinator of the cluster of excellence REBIRTH - From Regenerative Biology to Reconstructive Therapy and dean of the PhD program Regenerative Sciences. Besides, he is principle investigator and coordinator of numerous national and international projects and research centers. So far, Ulrich Martin has published more than 100 articles in various renowned journals. He is member of the editorial boards as well as reviewer for numerous journals and also holds memberships in various scientific organisations. His research interests are Induced pluripotent stem cells, Differentiation of pluripotent stem cells into cardiovascular and respiratory lineages, Regenerative cell therapy, Genetic engineering, Cardiovascular tissue engineering. Dr Li got his PhD degree from Peking Union Medical College, 2005. Then, he did his postdoctoral training at MIPS (Molecular Mmaging Program at Stanford) & Department of Radiology, Stanford University from 2005-2009. After that, He joined Nankai University as a Professor. Over the past years, Dr Li have used state-of-the-art imaging technology and developed molecular imaging assays for studying intact biological systems and made phenomenal progress in developing methods to endothelium differentiation of embryonic stem (ES) cell, non-invasively monitor the dynamics of cardiac gene expression, and stem cell transplantation using novel optical bioluminescence and position emission tomography (PET) imaging approaches, as well as cancer targeting therapy. Dr Li has published more than 60 peer-reviewed papers on molecular imaging and stem cell therapy. Research interests are Molecular imaging, gene therapy, and stem cell therapy; Monitoring stem cell survival, proliferation, and differentiation of adult stem cells and human embryonic stem cells. 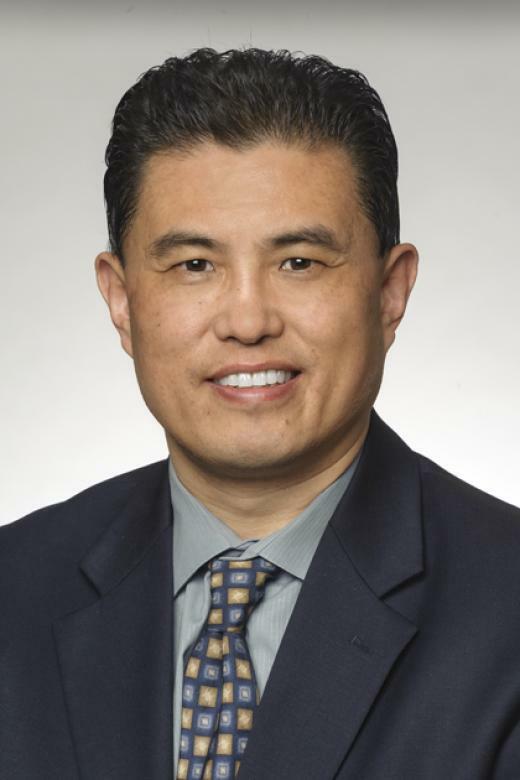 Dr. Songlin Wang is Vice President of Capital Medical University, Beijing, and Professor and Chief, Salivary Gland Disease Center and Beijing Key Laboratory for Tooth Regeneration and Tissue Reconstruction, Capital Medical University School of Stomatology. He was also approved as Scientific Director, Beijing Institute of Dental Research. He joined Capital Medical University School of Stomatology on September of 1989 after getting DDS, PhD from Peking University. Dr. Wang worked in Tokyo Medical and Dental University in 1991-1992 as visiting scholar, and worked in National Institute of Dental and Craniofacial Research of NIH as visiting scientist during 1996-1998. Dr. Wang established Salivary Gland Disease Center in 1993 and Molecular Laboratory for Gene Therapy and Tooth Regeneration in 1998. In 1999, he was named as full professor, Scientific Director of Beijing Institute of Dental Research, Vice Dean of School of Stomatology. As a leader of dental institute and dental school, Dr. Wang has the responsibility to develop a dental-related research program in the broad areas of developmental biology, epithelial biology and tissue regeneration. My research interest includes stem cell-based tooth regeneration and salivary glands research. He is Professor, College of Bioengineering, Chongqing University, Chongqing, China. Visiting Professor, Department of Physics & Astronomy, Department of Biological & Agricultural Engineering and Regenerative BioScience Center, The University of Georgia,USA. Guest Professor, Biomechanics Laboratory, Graduate School of Mechanical Engineering,Tohoku University, Sendai, Japan. Associate professor, College of Bioengineering, Chongqing University, Chongqing, China. Dr Alessandro Poggi has been working on cellular and tumor immunology for more than 25 years. 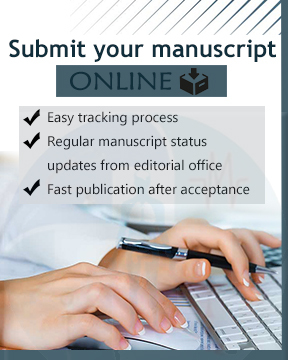 He is authors of 190 original articles published on indexed journals and he is a reviewer of several scientific journals. Starting from his first doctoral degree in Biological Sciences (1982), he worked on functional characteristics of leukocyte subsets. After his Post-Doctoral Fellow training at the Ludwig Cancer Institute in Lausanne, Switzerland (1985-1987), he has been appointed as Assistant Member at the IST (Immunopathology Unit) in Genoa studying natural killer cell development and function, molecular aspects of survival of subsets of leukocytes and the role of mesenchymal stromal and stem cells in tumor microenvironment. In 2000, he has taken his second doctoral degree in Medicine and Surgery and from July 2009, he is director of the Molecular Oncology and Angiogenesis Unit at the IRCCS AOU San Martino IST in Genoa.My present interest as key words are Tumor microenvironment, mesenchymal stem cells, immune regulation, innate immunity, NKG2D, NKG2D ligand. Dr. Kara E. McCloskey, PhD, is a Founding and Associate Professor in the School of Engineering at the University of California, Merced. Dr. McCloskey is the founder and first chair of the Biological Engineering and Small-scale Technologies (BEST) graduate program at UC, Merced. Her research is in the field of cardiovascular tissue engineering with a specific focus on deriving functional cell products from stem cells. Dr. Kara McCloskey has over 12 years of experience in the area of endothelial cell (EC) fate from both human and mouse embryonic stem cells (ESC), including extensive molecular and functional characterization of the ESC-derived EC. She has co-authored numerous articles on magnetic cell separation, stem cell differentiation, and cell characterization, but is most well-known for her work in developing methods for the differentiation and purification of endothelial cells, and more recently, cardiomyocytes, from mouse and human embryonic stem cells. Dr. Song Hong is an associate professor at Neuroscience Center of Excellence and Department of ophthalmology in Louisiana State University Health Sciences Center, New Orleans, LA, with appointment at Neuroscience Center of Excellence and Department of ophthalmology. Over the years, Dr. Hong has lead his research team to study the lipid-mediator regulation of the regenerative functions of mesenchymal stem cells and adipose derived stem cells in diabetic wound healing, acute kidney injury, and serve burn injury. By using their unique mass-spectrometry based platform of lipidomics, they have found several novel lipid mediators that can promote the regenerative function of stem cells. They has published multiple research articles on the interplay of lipid mediators and stem cells and their potential to repair injury and heal chronic wounds. Dr. Hongs team is currently studying mechanism of action of novel endogenous lipid mediators on stem cells in diabetic wound healing. Dr. Gomperts is a Physician-Scientist at UCLA. Her lab studies repair and regeneration of the lungs and is particularly interested in the mechanisms of normal repair of the lung and how these mechanisms are altered in lung diseases. Her lab studies stem/progenitor cell populations in the lungs in order to determine the regeneration potential of each of these subpopulations to better understand repair and the possibility of cell based therapies for lung diseases. They have expertise in models of lung injury and repair as well as in vivo and in vitro models of normal and aberrant airway epithelial self-renewal and differentiation and premalignancy. They also use pluripotent stem cells to model diseases as a means for improving our understanding of lung diseases and screening for new therapies. As a Physician-Scientist, her lab is particularly interested in translational research that will result in new therapies for lung diseases, including lung cancer and Idiopathic Pulmonary Fibrosis. Dr. Chun-Li Zhang is a tenured Associate Professor at UT Southwestern. He is an endowed W.W.Caruth Jr. Scholar in Biomedical Research, a New Scholar in Aging of The Ellison Medical Foundation, a winner of the prominent NIH Directors New Innovator Award. His research interests focus on genetic and epigenetic regulation of neural stem cells, neurogenesis, neural plasticity, and regeneration in the adult brain and spinal cord. His laboratory showed for the first time that resident glial cells can be reprogrammed into neural progenitors and functionally mature neurons in the injured adult brain and spinal cord, opening a potentially transformative therapeutic strategy for neural injury and degeneration by using a patients own cells without the need of cell transplantation. A second line of his research uses reprogrammed human motor neurons as a therapeutic approach for human neural degenerative diseases. His research received wide news coverage and featured reviews, such as The Scientist, Neurology Today, Nature Reviews Neuroscience, etc. His research was recognized as one of 2014s Big Advances in Science by The Scientist magazine. Dr. Mariah Hahn is an Associate Professor of Biomedical Engineering at Rensselaer Polytechnic Institute (RPI). Prior to joining Rensselaer in 2012, she was the Ray Nesbitt Development Associate Professor IV at Texas A&M University where she held appointments in Chemical Engineering, Biomedical Engineering, and Materials Science. Her research focuses on the development of scaffolds which promote bone, vocal fold, and vascular regeneration in the context of diseased or fibrotic environments. Dr. Hahn has received several awards in recognition of scientific achievement and mentoring, In particular, she was awarded the NSF CAREER Award for research in tissue regeneration and the American Heart Association National Scientist Development Award for coronary artery bypass graft research. She was also an invited participant at the 2010 National Academy of Engineering Frontiers in Engineering Symposium. Her work has been supported by the NIH, NSF and the American Heart Association (AHA). Research interests are musculoskeletal tissue engineering, vocal fold tissue engineering, material-directed mesenchymal stem cell differentiation. Dr. Yi (Stanley) Zhang is a Res Associate Professor at University of Rochester Medical Center, with appointment in Department of Pathology and Lab Medicine. He previously held research faculty position in Yale University with expertise in chemical genetics and chemical genomic approach to stem cell biology. Dr. Zhang also has expertise in medical business and finance management with MBA from William E. Simon Graduate School of Business Administration, University of Rochester, New York. Dr. Zhang has numerous publications and review on hematopoietic stem cells, leukemia stem cells, and chemical compound development to target chemotherapy-resistant leukemia stem cells. He is a Principle Investigator of several research fundings supported by New York State Stem Cell Board. Dr. Zongbing You is an Associate Professor with Tenure at Tulane University, with appointments in the Department of Structural and Cellular Biology, Department of Orthopaedic Surgery, Tulane Center for Stem Cell Research and Regenerative Medicine, Tulane Cancer Center, and Tulane Center for Aging. Prior to Tulane, Dr. You was a faculty at the Center for Tissue Regeneration and Repair, Department of Orthopaedic Surgery, University of California Davis. Dr. You'sstem cell research interest is in the role of doublecortin (DCX) in development of articular joint. 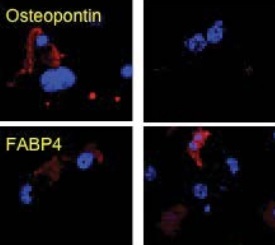 His laboratory discovered DCX expression in articular chondrocytes and their precursor cells. Their goal is to understand DCX's role in differentiation of stem cells into articular chondrocytes, and to apply the knowledge towards tissue engineering and regeneration of articular joint. Dr. You has published 55 scientific articles, 81 meeting presentations, and a book chapter. He has edited a book 'Prostate Cancer Cells: Detection, Growth and Treatment'. Cheng Wang is a Senior Scientist at the National Center for Toxicological Research (NCTR)/US Food and Drug Administration (FDA). He is also an Adjunct Faculty member in the Department of Pharmacology and Toxicology, University of Arkansas for Medical Sciences (UAMS).Dr. Wang is currently the P.I. on 4 research protocols (grants) supported by the NCTR/FDA, National Toxicology Program and NICHD. He is currently responsible for leading a research team that provides unique and highly specialized skills in neural toxicology, pharmacology, systems biology and stem cell biology research. Dr. Wang has published more than 66 peer-reviewed research articles in prestigious journals and 12 book chapters. 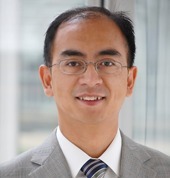 Dr. Wang is an Editor-in-Chief of the book entitled Developmental Neurotoxicology Research: Principles, Models, Techniques, Strategies, and Mechanisms. He also serves on the editorial board of 3 reputed journals and as a reviewer of 10 other journals. Dr. Wang was awarded the Outstanding Performance Award at the Society of Toxicology 44th Annual Meeting and the 2007 FDA Scientific Achievement Award for Excellence in Laboratory Science. He also was awarded a 2008 FDA Group Recognition Award for his participation in the Pediatric Anesthesia Research Group. Research Interests Neural Stem Cell Biology, Application of Systems Biology in Neurotoxicological Studies during Development, Activity-induced Synaptic Plasticity and Neural Cell Adhesion Molecule, Potential Pediatric Anesthetic-induced Neural Cell Death and the Potential Role of Neurotransmission, Mitochondrial DNA Damage and Expression Levels of DNA Repair Enzymes. Dr. Paul Lu is a Research Health Science Specialist at VA San Diego Healthcare System and an Associate Research Scientist at University of California-San Diego. His primary research focuses on transplantation of neural stem cell as functional neuronal relays for spinal cord injury and neurological diseases. 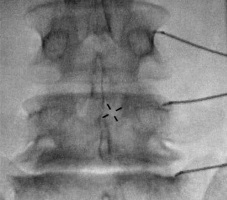 Recently, Dr. Lu and his team develop a new protocol to improve neural stem cell tracking, survival, differentiation, and maturation in the severely injured adult spinal cord by embedding neural stem cells into fibrin matrixes containing growth factor cocktails. This protocol results great survive of neural stem cells in lesion site and promotes their differentiation into both neurons and glia. 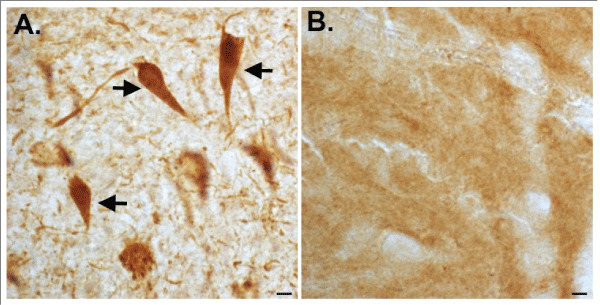 Most remarkably, the grafted neurons extended their axons in remarkable densities and over extraordinary distances in the host spinal cord for connectivity. In addition, Dr. Lu uses gene therapy as a tool to delivery of neurotrophic factors in combination with cell graft to promote axonal regeneration after spinal cord injury. Dr. Lu is an invited speaker for international symposium and present seminars in several universities and hospitals. Sohel Talib, Ph.D., is a Senior Science Officer at California Institute for Regenerative Medicine (CIRM). He is responsible for developing and implementing CIRMs scientific programs. His scientific background is in the Stem Cell and Gene Therapy and has spent 20 years in the biotech industry. Before joining CIRM he was the Director of Product Development at Geron Corporation. Prior to Geron Corporation, Sohel Talib, served as the Director of Immunology at Cerus Corporation, a biotech company developing novel allogeneic stem cell therapy for the hematological malignancies. He was a cofounder of Applied Immune Sciences (AIS), which was acquired by Rhone Poulenc Rorer (RPR, currently Sanofi). Dr. Talib received his post-doctoral training at Stanford University, University of California, Berkeley and Roche Institute of Molecular Biology, Nutley. He obtained his Ph.D. in Biochemistry from Aligarh University, India and International DANIDA fellowship from Danish Institute of Protein Chemistry, Copenhagen. Giuseppe Maria de Peppo is the leader of the Bone Engineering and Regeneration group at the New York Stem Cell Foundation Research Institute in New York City. Dr. de Peppo received a BSc degree in Biotechnology at La Sapienza University in Rome and a MSc degree in Medical Biotechnology at Bicocca University in Milan, during which he conducted research at the Biomaterial Engineering Department at Politecnico di Milano. In 2007 he was awarded a Marie Curie fellowship at the Department of Biomaterials at the University of Gothenburg in Sweden, where he received an international PhD in Tissue Engineering. His current research focuses on engineering vascularized bone substitutes from pluripotent stem cells for complex reconstructions of the skeletal system, and as valid experimental models to study bone development and pathologies, screen new drugs and test biomaterials. As first step toward clinical translation, his group recently engineered mature and phenotypically stable bone substitutes from human iPSC lines using an osteoinductive scaffold perfusion bioreactor approach of bone development. Dr. de Peppo received the best prize for his doctoral thesis in 2011 at the University of Gothenburg, and the Argos Hippium Award in 2012 for his professional achievements abroad. 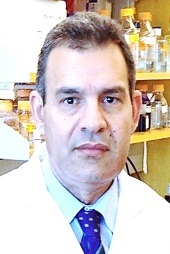 Dr. Mohamed Hassan is the leader of the Molecular Tumor Therapy group at Institut National de la Sante et de la Recherche Medicale, and Dental Faculty, University of Strasbourg, Strasbourg, France, and Cancer Institute, University of Mississippi Medical Center, Jackson, Mississippi, USA. 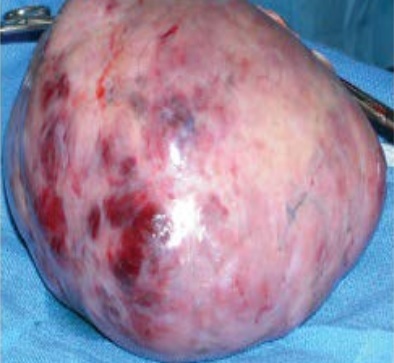 He was the Group leader of the Molecular Tumor Therapy up to Dec. 2011 at the University Hospital of Duesseldorf, Germany. Currently, He is Group leader of. Dr. Hassan earned his BSc. In Biochemistry from the University of Zagazig, and earnd BSc, MSc, in Biomedical Science from the University of duesseldorf. Dr. Hassan earned his PhD in Molecular Medicine/ Viral Oncology from the University of Duessledorf, Duesseldorf, Germany. Dr. Hassan specialized in Cancer Research, with particular interests in the field Molecular Tumor Therapies and Cancer stem- like cells. He is the recipient of Robert Frank award from International Association of Dental Research 2007, and Japanese society of internal medicine award, 2011. My Research Interest covers the Cancer research, Melanoma Research, Viral Oncology, (Hepatitis C Virus-associated Hepatocellular Carcinoma, Cancer stem-like cells, Molecular Mechanisms of tumor progression, Metastasis, resistance and recurrence, Molecular Tumor Therapy. Dr. Dean Harvey Betts has spent over 15 years examining the roles of telomerase reverse transcriptase (TERT) and the stress adaptor protein p66Shc in various cell systems, including human cancer cells, early mammalian embryos and various stem cell populations. He obtained his BSc and MSc from the University of Western Ontario and his PhD in Biomedical Sciences from the University of Guelph. After a post-doctoral fellowship in the Department of Genetics at Case Western Reserve University he started his own independent research program as an Assistant Professor at the Ontario Veterinary College, University of Guelph. 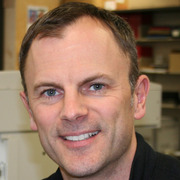 He is currently an Associate Professor in the Department of Physiology and Pharmacology at the University of Western Ontario. Post Doctoral Training and Professional Experience: Resident in Medicine, Second Affiliated Hospital of Zhejiang University, School of Medicine. Visiting scholar, Surgical Hospital, University of Heidelberg, Heidelberg, Germany. completed Postdoc from Department of Surgery, University of California, Los Angeles, USA. Attending in Medicine, Second Affiliated Hospital of Zhejiang University School of Medicine. Dr. Chao Liu now is an associate professor in the department of Histology and Embryology, at Anhui Medical University in China. He is also appointed as the deputy director of the Institute of Stem Cell and Tissue Engineering of Anhui Medical University. He graduated from University of Science and Technology of China and got his Ph.D. degree in neurobiology in 2007. Dr. Chao Liu joined in a postdoctoral research program focused on human embryonic stem cells in University of Maryland in United States in 2007. In 2009, he joined in another postdoctoral research program focused on human embryonic stem cells and induced pluripotent stem cells, which was co-sponsored by Stanford University and University of California, San Francisco in United States. His research interests are focused on the directed neural differentiation of human ESCs/iPSCs and the potential application of cell replacement therapy for human neurodegenerative diseases. Dr. Murugan Ramalingam is Associate Professor at the Centre for Stem Cell Research, Christian Medical College Campus, India. Concurrently he is Adjunct Associate Professor at the Tohoku University, Japan. He has worked at the WPI Advanced Institute for Materials Research, Japan, as an Assistant Professor. He has also worked at the National Institute of Standards and Technology (NIST) and the National Institutes of Health (NIH), under the U.S. National Academies Associateship program. He received his Ph.D. in Biomaterials from the University of Madras. He has also undergone training in Ethical and Policy issues on Stem Cells from Harvard University, USA, and in Operations Management from the University of Illinois-Chicago. His current research interests are focused on the development of multiphase biomedical materials, through conventional to nanotechnology to biomimetic pproaches, microfabrication, cell patterning, stem cell differentiation, tissue engineering and drug delivery. He is the author of over 190 publications, including peer-reviewed journal papers, conference proceedings, book chapters, authored books, edited books, and patents relevant to biomaterials, stem cells, and tissue engineering. His current h-index is 22 with over 3800 citations. He has organized several international conferences and chaired Biomaterials, Nanobiotechnology, Stem Cells and Tissue Engineering sessions. He also serves as a board member of several international scientific and research committees in various public and private bodies and grant reviewer of various international funding agencies. Prof. Carmelina Daniela Anfuso is an Associate Professor of Biochemistry in the Department of Biochemical and Biotechnological Sciences at University of Catania, Italy. Dr. Anfuso completed her Ph.D in Biology and Medical Biochemistry, University of Catania. She did her Postgraduate education in Clinic Biochemistry in 1998. In 1993, she attended a Ph.D. position in University of Alberta, Canada. In 1998, she was a post-doctoral researcher in UCL, Moorfield Eye Hospital. 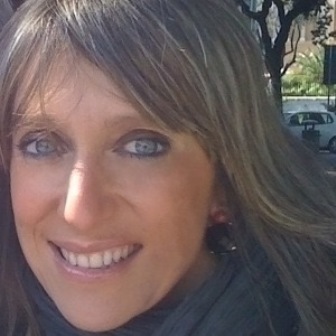 From 2000-2001, she is in Italian Consortium for Biotechnology Fellowship; 2001-2004: Research activity in Department of Biochemistry, Catania; 2004-2006/2007-2009: Two-year Research Collaboration, University of Catania. Dr. Carmelina Daniela Anfuso research interest includes: 1) Studies of in vivo transport through the blood-brain and blood-retinal barrier; 2) Role of the isoforms of phospholipase A2 in the processes of retinal and brain tumor angiogenesis; 3) Effect of bacterial infections on the blood-brain/retinal barriers; 4) Diabetic retinopathy and retinal angiogenesis; 5) Studies of cell adhesion on biocompatible surfaces; 6) Studies of intracellular signaling on human melanoma and retinoblastoma cell lines; 7) Aberrant angiogenesis and diabetic retinopathy. Dr.Peter Maye is an assistant professor in the Department of Reconstructive Sciences and Center for Regenerative Medicine and Skeletal Development at the University of Connecticut Health Center. His area of expertise is in the fields of embryonic development and skeletal biology. He received his PhD in Biology from Wesleyan University, where is studied the role of Hedgehog signaling during embryoid body differentiation. He carried out postdoctoral work in the areas of Wnt signaling and bone biology at the University of Connecticut Health Center. Currently, his research is focused on the biology and application of bone marrow skeletal progenitors to repair bone defects. A second area of interest is on the differentiation of embryonic stem cells into different skeletal lineages, including chondrocyte, osteoblast, and tenocyte. His lab utilizes developmental and genetic approaches to study skeletal progenitor cells and past studies from his lab have led to the generation of transgenic mouse models and approaches that enable the identity, isolation and tracing of skeletal progenitor cells. Dr. Yong Yang is currently an assistant professor in the Department of Chemical Engineering at West Virginia University. The research focus of his laboratory is on dissecting cell-substrate interactions by engineering highly defined cell culture platform from micro/nanotechnology and biomaterials approaches and building biomimetic cellular microenvironment for regenerative medicine and human disease models. He obtained his Ph.D. from The Department of Chemical and Biomolecular Engineering at The Ohio State University (OSU), and did postdoctoral research in The National Science Foundation (NSF) sponsored Nanoscale Science and Engineering Center (NSEC) for Affordable Nanoengineering of Polymer Biomedical Devices (CANPBD) at OSU and then Biomedical Engineering Department at Duke University. Research interest include, Stem cell technologies, Nanomedicine, Micro-/nanotechnologies. 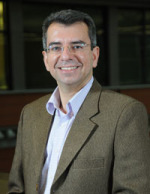 Dr. Dimitris G Placantonakis is an Assistant Professor of Neurosurgery at NYU School of Medicine, Director of Neurosurgical Laboratory for Stem Cell Research. He is a member of Kimmel Center for Stem Cell Biology, Stem Cell Biology Program, Neuroscience Program, Molecular Oncology and Immunology Program, and Neuro-oncology Disease Management Group at Cancer Institute. Areas of research interest include, Glioma stem cells, human pluripotent stem cells, motor neuron biology, microRNAs, neuroscience, cell therapy, gene therapy. Dr. Placantonakis obtained his MD and PhD degrees from NYU School of Medicine MSTP Program. At NYU, he was elected to the Alpha Omega Alpha National Honor Medical Society and received the Alpha Omega Alpha award for the highest scholastic rating in his medical school class. He then moved to Weill Cornell Medical College and Memorial Sloan-Kettering Cancer Center for his neurosurgical residency training with Drs. Phil Stieg and Phil Gutin. Within his residency, he completed a 2-year postdoctoral research fellowship with Drs. Lorenz Studer and Viviane Tabar at Memorial Sloan-Kettering, studying human embryonic stem cell biology. He has received numerous awards for his work, including the Congress of Neurological Surgeons Resident Award, the Neurosurgery Research and Education Foundation Research Fellowship, the New York Society for Neurosurgery Resident Award, and the Distinguished Housestaff Award at Weill Cornell Medical College. 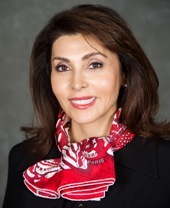 Dr. Nady Golestaneh, Ph.D, is an Assistant Professor at Georgetown University School of Medicine, Departments of Ophthalmology, Neurology, Biochemistry and Molecular & Cellular Biology, and Director of Research, Department of Ophthalmology. She received her Ph.D and MS degrees in Biology and Pharmacology of Aging from University of Paris VI, Pierre et Marie Curie, in Paris, France and her BS in Cellular Biology and Biochemistry from University of Paris VII, Jussieu, in Paris, France. She performed postdoctoral training at NIH, NEI and Johns Hopkins University before joining Georgetown University School of Medicine in 2006. Her lab is committed to researching how aging mechanisms affect the cells and induce diseases such as age-related macular degeneration (AMD), the leading cause of blindness among people over age 55 in the US and developed world. Using patient-specific induced pluripotent stem (iPS) cells Dr. Golestaneh is investigating the mechanisms that induce AMD and is developing ways to stop the progress of the disease. 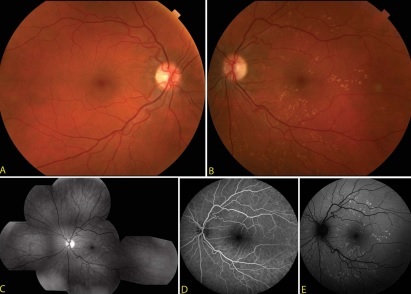 Her research has shown that adult stem cells generated from skin fibroblasts can be differentiated into functional retinal cells, offering the possibility of regenerative cell-based therapy in AMD. Her innovative work in the area of stem cell research has earned her several prestigious national and international awards, such as ACT President Award for The Best Paper Published in International Journal of Toxicology 2002, Novel and Newsworthy Award from American Society for Cell Biology 2007 and Georgetown University John Eisenberg Memorial Career Development Award 2010, among others. Dr. Golestaneh has received funding from NIH/NEI, Prevention of Blindness Society of Metropolitan Washington, BrightFocus Foundation and Georgetown University Internal Grants. 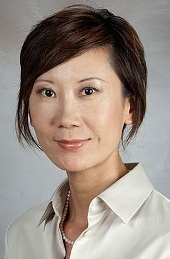 An assistant professor in the Department of Neurosurgery at the University of Texas Medical School at Houston, Dr. Wu earned her doctorate in Genetics at Baylor College of Medicine. Her postdoctoral work at Yale and Stanford University focused on gene expression, transcription factor and regulatory networks of stem cell self-renewal and differentiation. Dr. Wu work has been recognized with prestige honors and awards, including the NIH Pathway to Independence Award (K99/R00) and the Senator Lloyd and B.A. Bentsen Investigator Award. Dr. Wu has presented invited talks and lectures at many international conferences, the Multiple Sclerosis Research Center of New York, Lawrence Livermore National Laboratory, and the University of Florida etc. She has developed a patent, authored a book, and wrote many articles that have appeared in PNAS, Genome Biology, Plos Genetics, Genome Research, BioTechniques, and Nature, among others. Dr Xiaohua Liu is an Assistant Professor at Texas A&M University Baylor College of Dentistry. He received his PhD degrees from Tsinghua University and a postdoc training at The University of Michigan. In 2010, he joined the Biomedical Sciences Department of Texas A&M University Baylor College of Dentistry. Dr Lius research focuses on cell-material interaction (i.e. using biophysical and biochemical cues to modulate stem cell fates), biomimetic materials for craniofacial tissue regeneration, and controlled drug delivery. He is a member of the Society For Biomaterials, Tissue Engineering and Regenerative Medicine, Materials Research Society, and International Association for Dental Research/American Association for Dental Research (IADR/AADR). He has published over 40 peer-reviewed papers on prestigious journals, including Nature Materials, Biomaterials, and Tissue Engineering. His publications has been cited by other groups for more than 1800 times during the last 5 years. He also has 5 US patents granted or pending. Dr. Lius research is currently funded by two NIH grants. His research interests are Cell-material interaction, Craniofacial tissue regeneration, Nanotechnology for tissue engineering, Controlled drug delivery for tissue regeneration. Gitali Ganguli-Indra is an Assistant Professor Seniro Research in the Department of Pharmaceutical Sciences at Oregon State University, and is an affiliated member of the Molecular cell biology program at Oregon State University. She earned her Masters degree from Andhra University in India and her Ph.D degree from the functional genomics and cancer department at Institut de Genetique et de Biologie Moleculaire et Cellulaire (IGBMC), France. She has a book chapter inStem Cells and Tissue Repair - Methods and Protocols from Springers. She has a patent on diagnostic biomarker in head neck squamous cell carcinoma. She has been working with epithelial cancer and skin diseases for the past 17 years and has published series of papers on this topic in reputed journals such as EMBO, Oncogene, Molecular Cancer Research, EMBO reports and MCB, PLoS genetics. Research Interests are to elucidate the molecular and cellular mechanisms of contribution of hair follicle stem cells in wound repair and regeneration, identify new therapeutic targets toward the goal of accelerating wound healing and to identify natural compounds that are effective against head and neck cancer. My name is Dodanim Talavera-Adame. I was born in Mexico City and studied Medicine at the Medical School in Mexico City. I obtained my Masters Degree studying the effects of calcium and intercellular contacts in the expression of potassium channels in cellular membranes. Then, I collaborated in a research at the Albert Einstein School of Medicine working in gap junctions in cultured mouse Leydig cells. I pursued to obtain my Ph.D. degree in Molecular Biomedicine studying the effects of Dengue virus in the cytoskeleton and intercellular adhesion molecules in human endothelial cells. Then, I became postdoctoral researcher at Cedars-Sinai Medical Center in Los Angeles, California and studied the effects of leptin in angiogenesis. In my second postdoctorate, I studiedthe endothelial-derived factors that induce differentiation of mouse embryonic stem cells to insulin-producing beta cells. 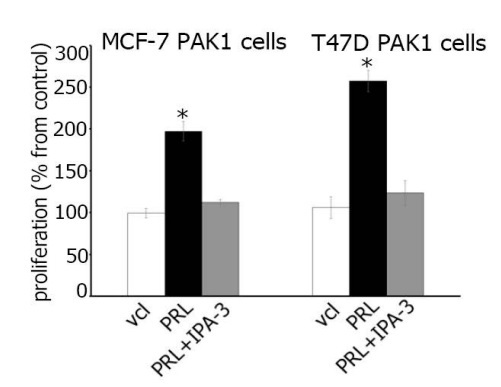 At present I am studying the role of these factors in pancreatic beta-cell in vitro differentiation. His research interests are The role organ-specific endothelial cell in organ/tissue function has been emphasized recently. At present my research interest is to investigate the endothelial-derived factors that promote functional maturation of pancreatic beta cells derived from human pluripotent stem cells. My research also includes the in vitro derivation of islet endothelial cells from human pluripotent stem cells. Currently enrolled in a clinical fellowship in GU Trauma and Reconstructive Surgery at University of California San Francisco from 01 Jul 2014 until 30 Jun 2015 (Program Director: Dr. Benjamin Breyer). 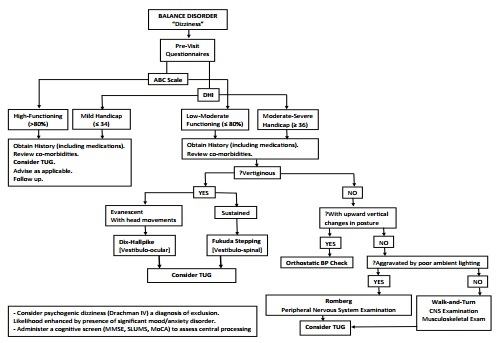 Clinical Urology-Erectile Dysfunction Fellowship at University of California San Francisco from 19 Aug 2013 until 30 Jun 2014 (Program Director: Dr. Tom Lue). 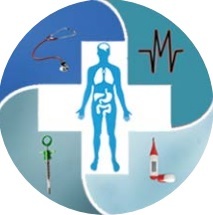 My research interest are stem cell therapy and shock wave treatment of erectile dysfunction and stress incontinence. Dr. Makoto Senoo is an Assistant Professor of Developmental Biology at the Institute for Regenerative Medicine, Department of Animal Biology, University of Pennsylvania School of Veterinary Medicine. Dr. Senoo received his Master degree in Biomedical Engineering from Keio University in 1994 and his PhD in Medicine from Tokai University School of Medicine in 2002 in Japan, followed by postdoctoral fellowship from Harvard Medical School in 2002-2007. His lab is studying intrinsic and extrinsic regulation of epithelial stem cells in homeostasis and diseases, with a long-term goal of developing stem cell-based therapeutic options. Dr. Abby Hielscher is an Assistant Professor of Anatomy at the Georgia-Philadelphia College of Osteopathic Medicine. Dr. Hielscher obtained a Ph.D. from the University of Nebraska Medical Center in Cell Biology in 2009 where she investigated the presence of cancer stem cell-like populations in mantle cell lymphoma. After completion of her thesis, Dr. Hielscher pursued a post-doctoral fellowship in the Department of Chemical and Biomolecular Engineering at Johns Hopkins University where she investigated the role of breast tumor extracellular matrix on patterns of vascular morphogenesis. Her research interests are currently centered on the role of the microenvironment in breast cancer initiation, growth and metastasis. Specifically, these interests are directed at the use of mechanically tuned 3 dimensional hydrogels to elucidate a role for matrix rigidity in the transition of normal mammary fibroblasts to activated myofibroblasts. My research interests are aimed at investigating the key roles of the extracellular matrix (ECM), a non-cellular, protein-rich entity, in supporting aberrant cell behaviors, angiogenesis and breast tumor progression. My research is focused on studying genetic, molecular and mechanistic underpinnings of different types of heart muscle diseases or cardiomyopathies, congestive heart failure and arrhythmia disorders. 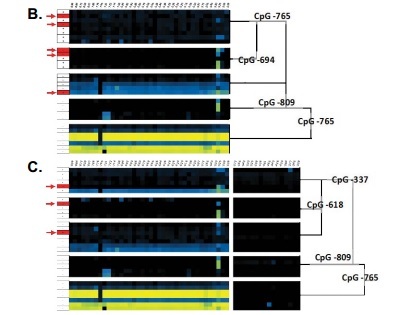 I identified several novel genes mutations, including myopalladin and nebulette, the Z-disk protein-encoding genes, as causes of different types of cardiomyopathies in autosomal dominant inheritance pattern. 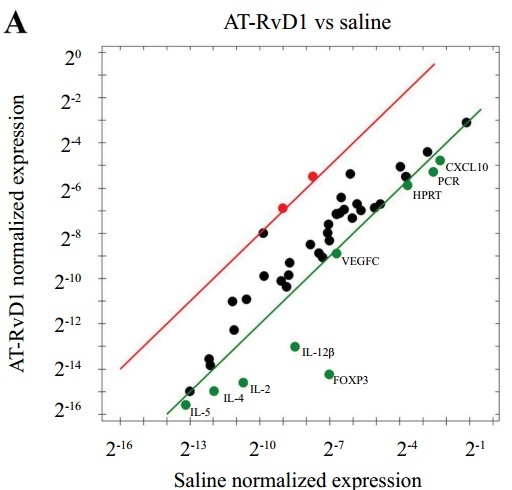 Our group engineered and characterized a variety of transgenic, knock-in and knock-out murine models in which the anatomic features and clinical phenotype of cardiomyopathies, including dilated, hypertrophic, restrictive and arrhythmogenic ventricular cardiomyopathies and left ventricular noncompaction (LVNC) in humans were recapitulated. 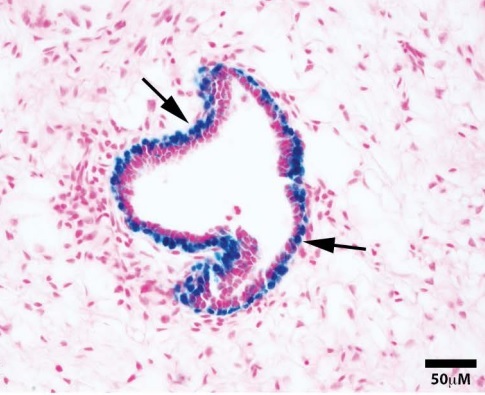 Studies on these animal models discovered novel mechanisms and signaling responsible for the development of cardiomyopathies and heart failure. Our studies on inducible pluripotent stem cells from patients with cardiomyopathies open new avenues in discovering novel mechanisms of heart diseases. Discovering these novel mechanisms will lead us to find novel ways to cure cardiac diseases. Research Interest focused on studying genetic, molecular and mechanistic underpinnings of different types of heart muscle diseases or cardiomyopathies, congestive heart failure and arrhythmia disorders. Dr. Fulzele is an Assistant Professor at the Department of Orthopaedic Surgery. His research focused on the impact of micronutrient on bone and cartilage formation. He is particularly interested in role of vitamin C transporter in bone marrow stromal cell differentiation and fracture healing. His area of Interests are Stem cell research, Tissue engineering, bone biology, osteoporosis, Growth factor. Dr. Austin Guo, PhD, is currently an Assistant Professor of Pharmacology at New York Medical College. He received his B.S. in Biotechnology from St Cloud State University in Minnesota, USA and his PhD in Cancer Biology from Wayne State University in Michigan, USA. Dr. Guo completed two years of postdoctoral work at Wayne State University after his graduation and took a junior research staff position at Henry Ford Hospital from 2003-2007. He was then raised the rank to Assistant Scientist in 2007 and held that position until he joined the faculty in New York Medical College in 2011. Dr. Guos research focused on investigating the role of Cytochrome P450 derived eicosanoids, specifically 20-hydroxyeicosatetraenoic acid (20-HETE), in the regulation angiogenesis and cancer growth. 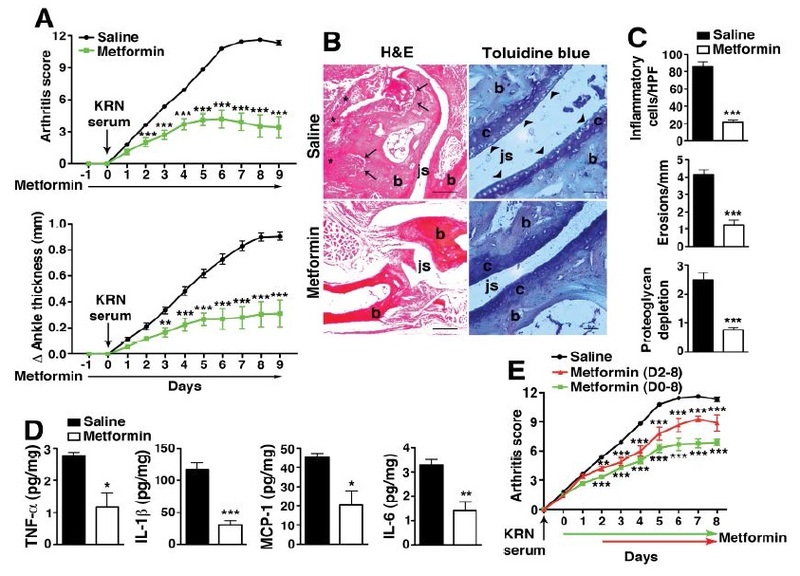 Currently, Dr. Guo is trying to understand how 20-HETE system contributes to neovascularization via up-regulation of the human umbilical cord blood derived Endothelial progenitor Cells functions that are associated with angiogenesis. 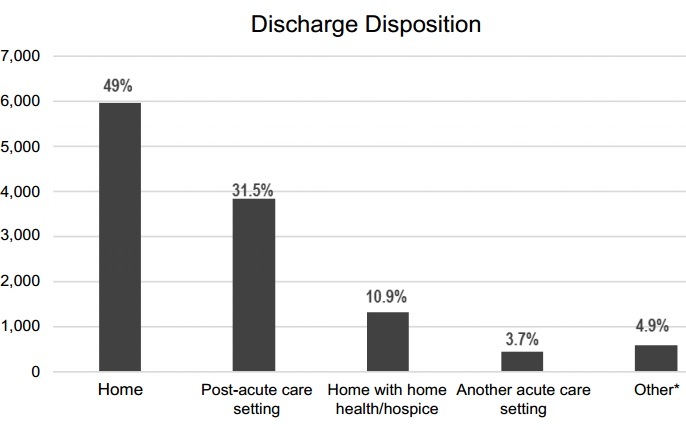 This work is supported by a Scientist Development Award grant from American Heart Association. Research Interest include Studying the role of stem cell derived eicosanoids in regulation of cancer and ischemia mediated angiogenesis. With many career avenues available to scientists today, I view academic research as the most productive pathway to test clinically relevant hypotheses through unbiased basic research. My graduate research at Tohoku University, Japan focused on the genetic mutations in Wiskott-Aldrich Syndrome. These projects resulted in the firstreport describing somatic mosaicism due to a spontaneous second-site mutation in the initiation codon. After completing my Ph.D. in 2007, I began my research work in Cincinnati Childrens Hospital Medical Center. During the last several years, my research has centered on pathophysiology of hematologic diseases such as bone marrow (BM) failure and leukemia. With many career avenues available to scientists today, I view academic research as the most productive pathway to test clinically relevant hypotheses through unbiased basic research. My graduate research at Tohoku University, Japan focused on the genetic mutations in Wiskott-Aldrich Syndrome. 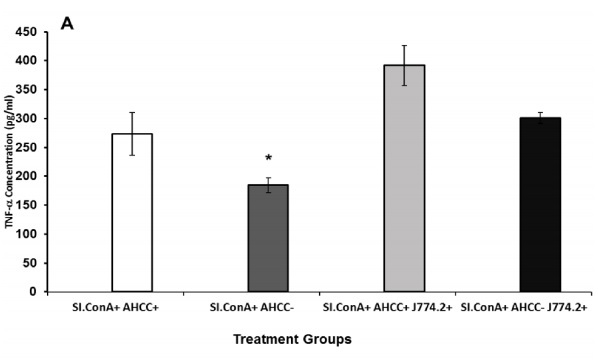 These projects resulted in the firstreport describing somatic mosaicism due to a spontaneous second-site mutation in the initiation codon. After completing my Ph.D. in 2007, I began my research work in Cincinnati Childrens Hospital Medical Center. During the last several years, my research has centered on pathophysiology of hematologic diseases such as bone marrow (BM) failure and leukemia. In addition, I have been investigating the mechanism of hematopoietic stem cell (HSC) mobilization and bone marrow niche engraftment as well as the factors implicated in cell proliferation and apoptosis. I have identified functional interactions between certain factors implicated in cell polarity, adhesion and migration. I have published 20 peer-reviewed scientific papers in high-impacted scientific journals of Hematology. Among them, I have been served as first-author for 10 times and Correspondingly-author for 5 times. My post-doctoral fellowship has been supported by a competitive Fanconi Anemia Research Fund (FARF) and a NIH T32 grant in Hematologic and Oncologic diseases. My current research interests focus on Stem cell biology and pathophysiology of bone marrow failure and leukemia; identifying and targeting the alternative oxidative DNA-damage response pathways required for cancer progression; the role of a major proliferating protein, nucleophosmin (NPM) in cancer development. 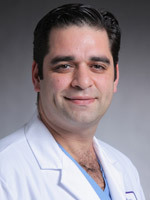 Radbod Darabi received his MD degree at 1997 and his PhD in 2005. During his PhD, he worked on in vitro expansion of human corneal limbal stem cells. Later on, during his postdoctoral fellowship at the University of Texas/Dallas, he pioneered using of mouse ES cells for skeletal muscle regeneration in mice models of muscular dystrophies (Nature Medicine, 2008). After joining University of Minnesota, he developed using human ES/ iPS cells for skeletal muscle regeneration (Cell Stem Cell in 2012). Dr. Darabi has published multiple research articles regarding using stem cells as cell therapies in various mouse models of muscular dystrophies. 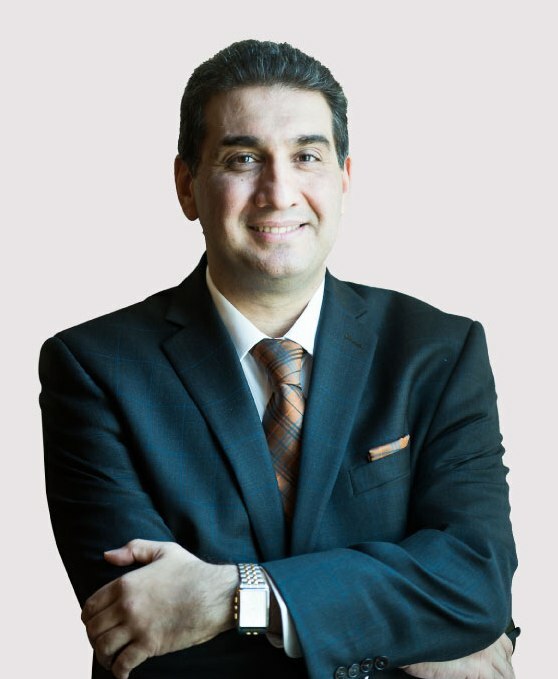 Currently, Dr. Darabi is a faculty in the Center for Stem Cell and Regenerative Medicine at the University of Texas Health Medical Center in Houston and leads researches related to cell therapy for muscular dystrophies. His Research interests include, Stem cell based regenerative medicine, ES/ iPS based cell therapies for skeletal muscle regeneration, Gene and cell therapy for muscular dystrophies, Cardiac repair using stem cells, Endothelial and cardiac differentiation from ES/ iPS cells. Dr Tobias Merson completed his PhD at the Walter & Eliza Hall Institute of Medical Research (Melbourne, Australia) in 2006, demonstrating the critical role of epigenetics in the regulation of neural stem cell function and adult neurogenesis. He then took up a postdoctoral position within the Multiple Sclerosis Group at the Howard Florey Institute and was awarded a Betty Cuthbert Training Fellowship (2007-2010) jointly funded by the National Health and Medical Research Council and Multiple Sclerosis Research Australia. In 2013, Dr Merson established his own laboratory within the Florey Institute of Neuroscience and Mental Health (Parkville, Australia) and was awarded a Melbourne Neuroscience Institute Fellowship. His current research examines the life cycle of the oligodendrocyte, the cell type responsible for myelination within the central nervous system. His group focuses on understanding how oligodendrocytes are generated during development, how they are regenerated after injury and their role in supporting the function of axons.